Kyrgyzstan's Union of Photojournalists, concerned about the lack of a central, photographic repository of the nation, has launched a crowd-sourced website to collect historical photos in one place accessible to all. 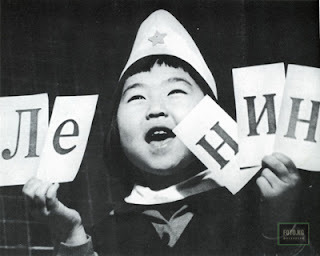 Vlad Ushakov, one of the founders of The Kyrgyz Photo Archive, told EurasiaNet “We offer all internet users an opportunity to create the history of our country themselves. The motto of the website is: ‘The country's history in photos, the history of photography in the country." There are almost 2000 photos already on the site. Each photo appears with historical information whenever possible, including the year, location and name of the photographer. Some are borrowed from other online sources, such as the Library of Congress, but this appears to be the first attempt to amass such a collection in one place. This is a project well worth supporting. Perhaps some readers have photographs stored in albums from family holidays at Issyk Kul? If so, simply register and then upload your images and contribute to the history of this small nation. If you do not read Russian, you can still enjoy the background information that accompanies each image. Simply visit http://translate.google.com/, select Russian to English in the language fields, and enter http://foto.kg/ in the Russian section, and voilà the website appears in English. It is a fascinating collection: some images date back to the mid-19th century when the majority of Kyrgyz were nomads. The text accompanying each image is comprehensive and helps the reader understand the social and historical context of the time. 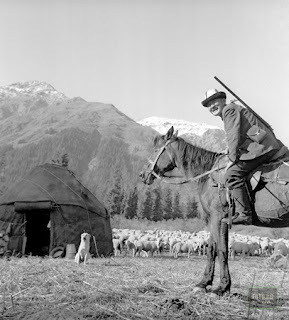 View the Kyrgyz Photo Archive.